UK ONLY SALES. Tight, choice, difficult cushion plants for the Alpine house or cold frame, careful watering required throughout the year with acute drainage and lots of ventilation. Not impossible but care needed, although those offered are the easier forms. Please note that this plant will deteriorate if posted outside of UK, then sent entirely at customers risk. 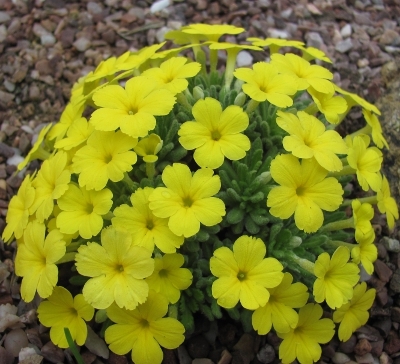 Dense tight, low growing flattish mounds with sessile yellow flowers relatively easy to please, limited availability. Please note that this plant will deteriorate if posted outside of UK, UK ONLY SALES.